I discuss how the Bedrock Edition of Minecraft still has some game breaking bugs and how the developers use content creators to drive sales. I also touch on Article 13 again to clarify some points from the last podcast. 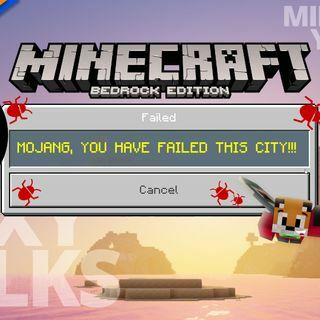 In this episode I discuss how Mojang are using YouTubers to drive sales of MineCoins while ignoring some of the game breaking bugs still present in the game.